Minimise workplace hazards and risks with the right Emergency Safety Shower & Eyewash for your hazardous materials and flammables. 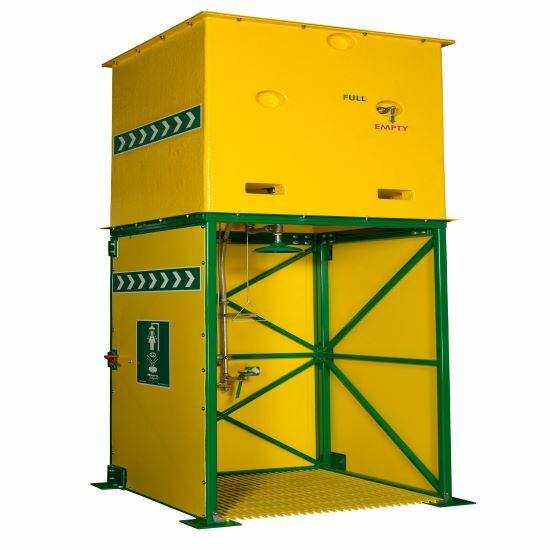 Our range of Emergency Safety Shower & Eyewash are specifically engineered to safely treat the adverse emergency affects of contamination of differing types of hazardous materials, such as flammable liquids, corrosives, oxidising agents, pesticides, toxic substances, aerosols and gases, and more. Safely treat injuries caused from hazardous materials with our range of Emergency Safety Shower & Eyewash. You can be confident that all our Emergency Safety Shower & Eyewash are designed and manufactured to not only comply with the relevant Australian Standards but exceed them. From solar powered Emergency Safety Shower & Eyewashes to small personal and portable eyewash bottles, every feature of our Emergency Safety Shower & Eyewashes has been designed to ensure the highest safety response features available on the market. Keep employees safe and provide the best treatment options available on the market with our laminar flow technology and inverted water systems – the only one engineered to duplicate the methods that medical professionals recommend! Regardless of how hot or cold it may get outside, all of our Emergency Safety Shower & Eyewash range provide the best solutions and will fit the conditions and applications to give you the perfect fit. Why do I need Emergency Safety Shower & Eyewash? The primary reason to have an Emergency Safety Shower & Eyewash is to be able to provide an interim response treatment required in an emergency. Sometimes the emergency can be treated on site and in some very unfortunate circumstances, it can be an interim measure unless medical professionals can be engaged to treat the injured person. Which Emergency Safety Showers & Eyewashes are right for my facility? It depends on a few different factors and we are always on hand to help with the decision for you. The main considerations are; whether you have access to a continuous water supply and electricity, which types of emergencies might occur from the work conducted at your premises and whether you need a solution for a fixed location or a portable one. What are the Emergency Safety Shower & Eyewash regulations? In Australia, federal laws state that all provisions must be made for the safety of people and it is the duty of care of businesses. State laws also include environmental protection so when selecting from our Emergency Safety Shower & Eyewashes we can help you comply. Which Australian Standards relate to Emergency Safety Shower & Eyewashes? AS 4775-2007 Emergency Eyewash and Shower Equipment outlines the main considerations of an eyewash and facewash unit such as the flow rate requirements of the water, the material specifications and testing, which should be conducted weekly. Consideration should be given to other Australian Standards relating to the storage and handling of dangerous goods to further guide the selection of Emergency Safety Shower & Eyewashes. Absolutely! We can organise delivery of any of our innovative range of solutions to anywhere you are. Please just request a freight charge be added to your quote and provide a postcode. 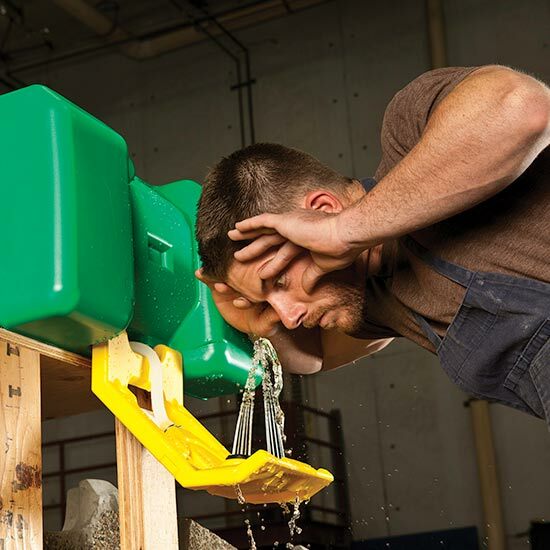 At IQSafety, we’re proud to offer the highest quality eyewash and shower station to businesses around the country. Wherever you’re based - including Melbourne, Sydney, Canberra, Brisbane, Darwin, Perth, Adelaide, Hobart and everywhere in-between - we’re confident we have the spill kits and absorbent products to ensure you’re prepared for any situation.